Quad Fighter ™ Gaming Drones | QFO Labs, Inc.
That’s right, the Quad Fighter is built specifically for gaming. And it’s all made possible by the precise control and intuitive feel of the tilt-based Mimix Controller. With a simple flick of your wrist the Quad Fighter can move in any direction at any time, not just forward and backwards like some helicopters. 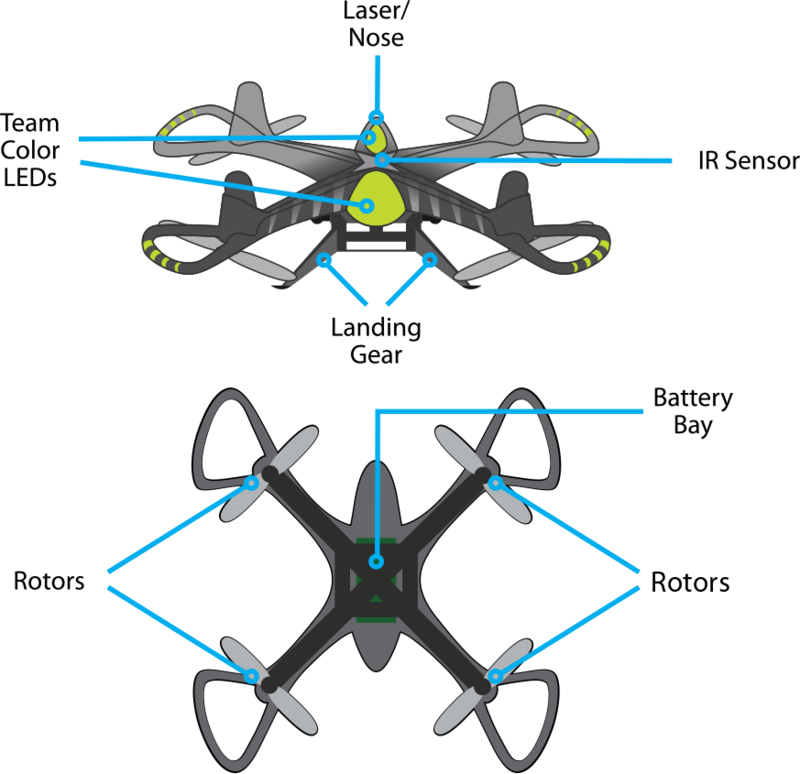 The Quad Fighter is designed to fly in small indoor areas, but powerful enough to fly outdoors. Due to the rugged, lightweight construction, and only 4 moving parts, it is more durable than current helicopter models. 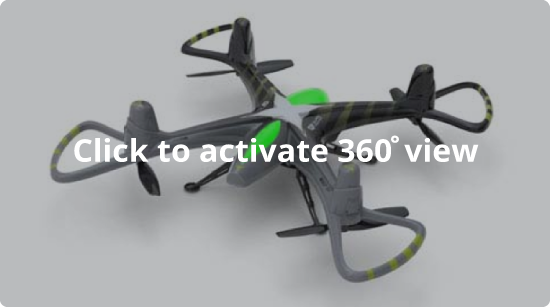 To increase efficiency, we took the traditional quad-rotor design and flipped it upside-down. This also means the props don’t run into the ceiling and the motors don’t hit the floor. Using high-speed electronic stabilization, the craft automatically adjusts 400 times per second to quickly react to your commands. Thanks to mass production of 3-axis gyros and accelerometers, we can now bring you an affordable product with this state-of-the-art high-speed electronic stabilization. The end result – a design that is both more durable and more fun! Disappointed by cheap RC helicopters? So were we! They either broke or we got bored. Patented “Tilt-to-Fly” control of your quadcopter with our unique single-handed Mimix controller.